Buddy Howell will be joined by Jalen Young and Hunter Snyder as #FAU game captains for coin toss. B-CU has won the coin toss and elected to differ. #FAU will receive. 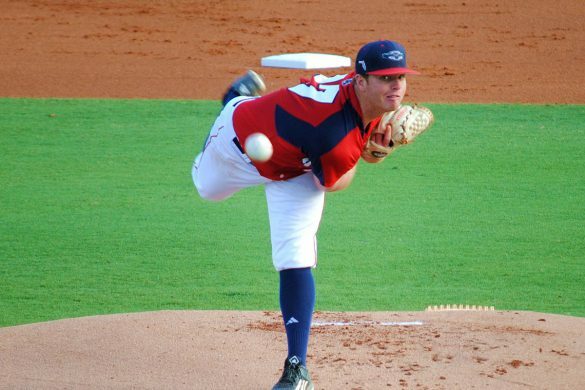 Daniel Parr has his third consecutive start of the season for #FAU. Kamrin Solomon sees in-game action for the first time this season. Devin Singletary fumbles at B-CU’s 2 yd line causing B-CU to make a start at their own 20 with less than 14 minutes to go in the 1st Q.
Daniel Parr is sacked by B-CU Trenton Bridges. Less than 9 minutes to go in the 1st quarter. Score is still 0-0. Daniel Parr with the 9 yd TD run for #FAU. 6:53 min left in the 1st quarter. Daniel Parr’s 5 yd pass complete to Harrison Bryant for a TD. On top of that, Greg Joseph’s extra kick is good. 3:57 remains in the 1st Q. This is Harrison Bryant’s first career TD. #FAU leads 14-0. After an 18 yd run from John Franklin, Daniel Parr is back in at QB. The first quarter comes to a close with #FAU-14 B-CU-0. Press box correction: Ray Wilson was the one who recovered this kick. 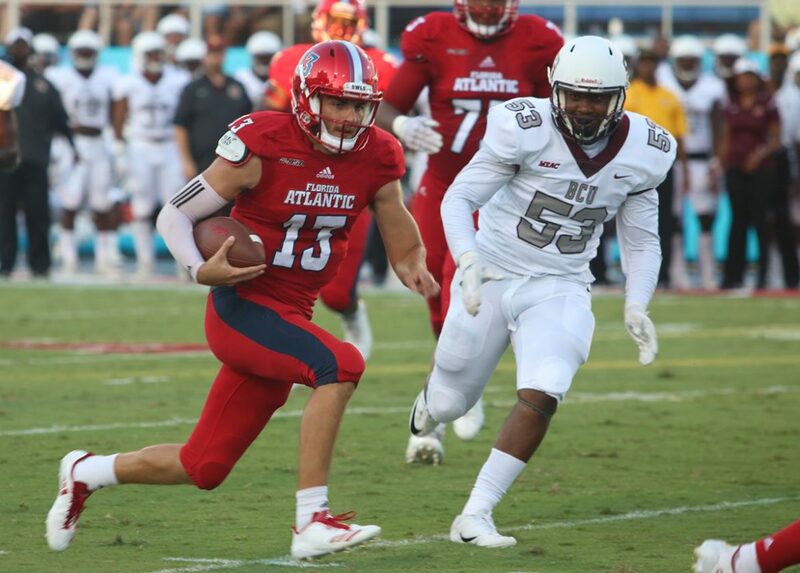 Daniel Parr’s pass to Devin Singletary results in a loss of 5 yds for #FAU. 11:05 remains in the 2nd quarter. Daniel’s Parr’s TD pass complete to Deandre McNeal was flagged for pass interference. #FAU returns to B-CU’s 20 yd line. Daniel Parr on the rush for another #FAU TD with less than 10 minutes to go in the 1st half. Extra kick is good. #FAU-21 B-CU-0. 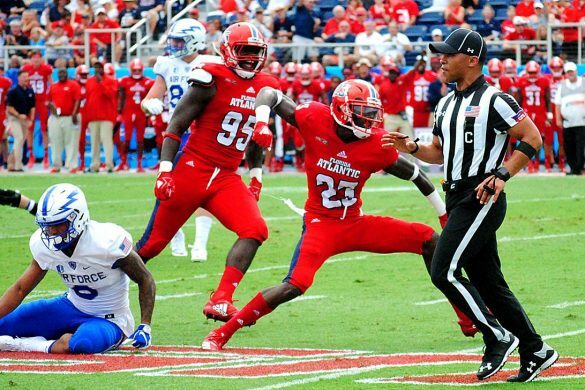 #FAU’s William Davis ‘sacks’ the Owl’s first sack of the season. Azeez Al-Shaair steps out due to injury. less than 5 minutes remain in the 2nd quarter. 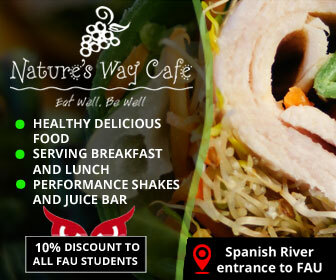 #FAU-21 B-CU-0. Ernest Bagner and Haiden Nagel with #FAU’s second sack of the night. With less than 1 minute in the 1st half, Daniel Parr’s pass intercepted. The 1st half comes to a close with #FAU-21 and B-CU-0. 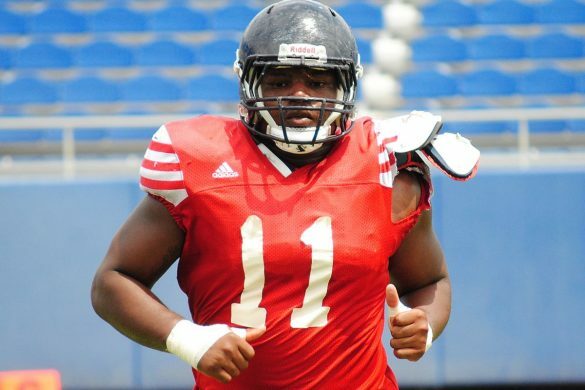 Devin Singletary with a 19 yd TD for #FAU. Greg Joseph’s extra kick is good. 11:15 left in the 3rd quarter. #FAU-28 B-CU-0. #FAU chooses to kick a 46-yard FG. The score is now 31-0 late in the 3rd quarter. Buddy Howell with the 5 yd TD run. Extra kick is also good. #FAU-38 B-CU-0. Less than 6 minutes in the 3rd quarter. Buddy Howell has ran for 175 yds in tonight’s game. This is a new career high for Howell. 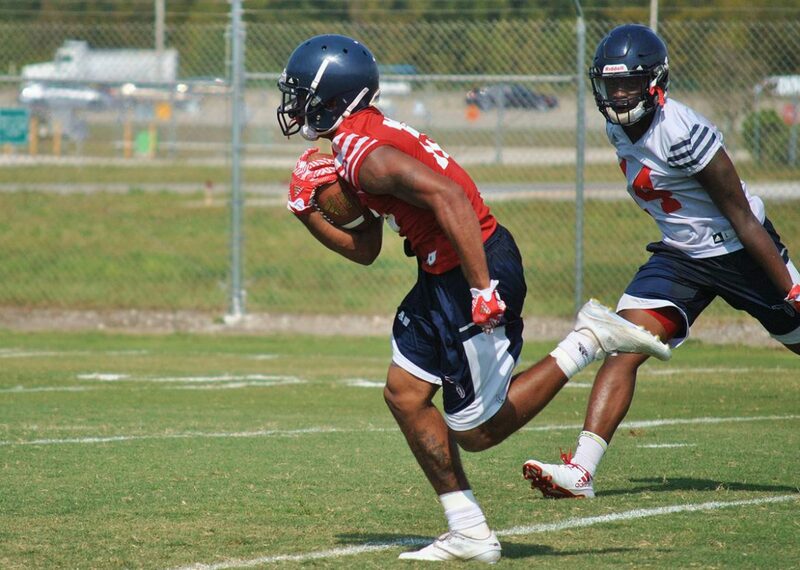 Wildcat’s pass picked off by #FAU’s Chris Tooley. 4:12 left in the 3rd quarter. #FAU-38 B-CU-0. 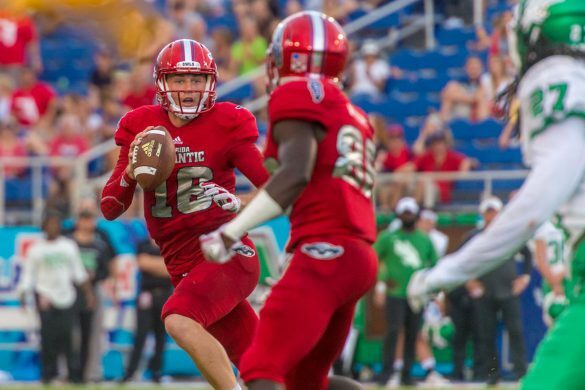 Jason Driskel steps in as quarterback for #FAU. #FAU reaches a new program high for rushing yds. The previous high was 370 back in 2003. Tonight’s current total is 404. Fumble recovery by Chris Tooley at the 26 yd line – returned for an #FAU TD. Extra kick is also good. #FAU-45 B-CU-0. Less than 4 minutes remain. #FAU vs Bethune Cookman comes to a close at 9:40pm. Final score: 45-0 #FAU Win. 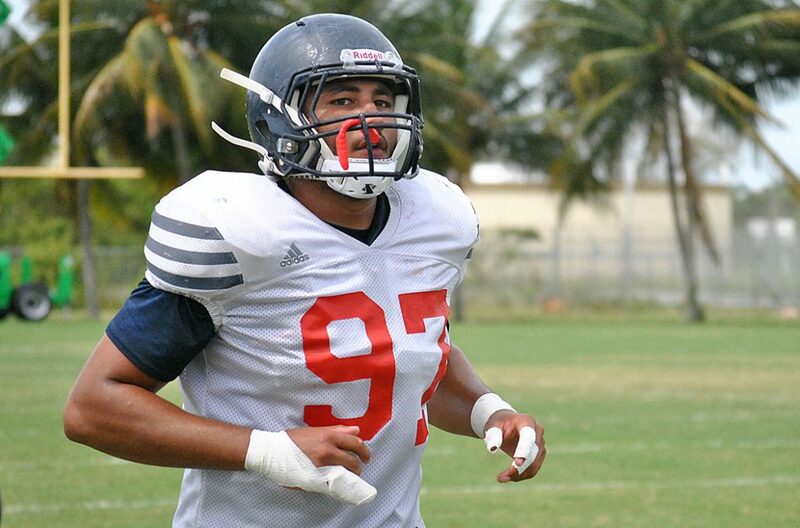 BOCA RATON – A couple of defensive walk-ons with football pedigrees grabbed the attention of FAU’s new coaching staff this spring and may have earned playing time this fall. 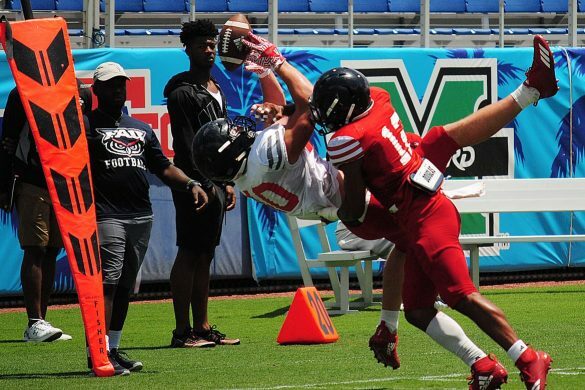 Spending much of the spring as a second teamer, redshirt freshman safety Jordan Helm intercepted a pass at FAU’s public spring practice at Carter Park. Jordan Helm knows that walk-ons can make an impact on a football team. 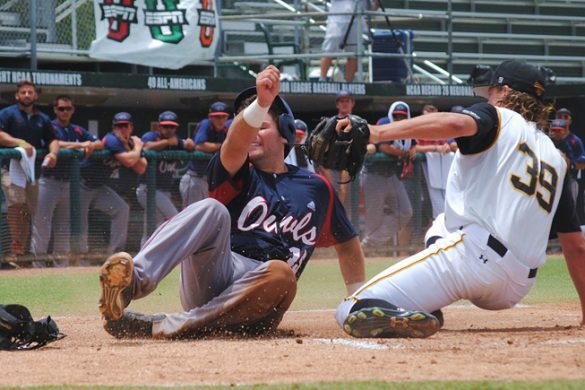 His brother, Grant Helm, also played for the Owls, walking on and earning a scholarship after his first year. Grant played safety before becoming a graduate assistant coach at FAU. Jordan understands that a new coaching staff offers a fresh opportunity to impress. “Their goal is to win, so they’re going to play the best players no matter what,” he said. 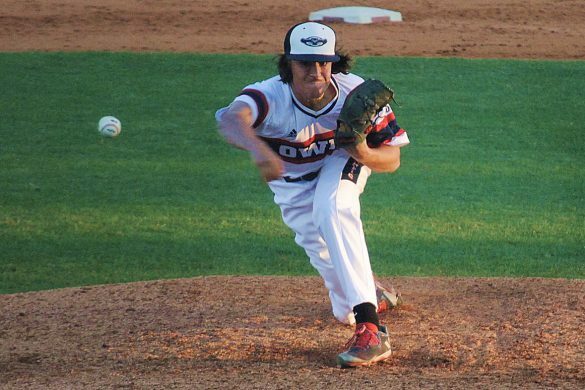 Helm elected to attend FAU in part because he earned academic scholarships. He also was not impressed by football offers coming out of high school. Redshirt sophomore defensive end Anthony Bennett also worked his way onto the second team, impressing coach Lane Kiffin with his work ethic from the moment spring football started. Bennett, a South Florida native from Cypress Bay High School shakes the stereotype of the average walk on. Like Helm, Bennett has football in his blood. Bennett’s father, Charles Bennett, played for the Bears, Cowboys, and Dolphins. His uncle Tony Bennett played for the Colts and Green Bay, and his cousin Michael Bennett for the Vikings. One of Bennett’s defensive line mate, redshirt senior defensive end Haiden Nagel, understands what it’s like to take advantage of the opportunity to improve himself. A former walk-on, Nagel earned a scholarship last season, making him an excellent mentor for Bennett. Nagel sees in Bennett the same drive. 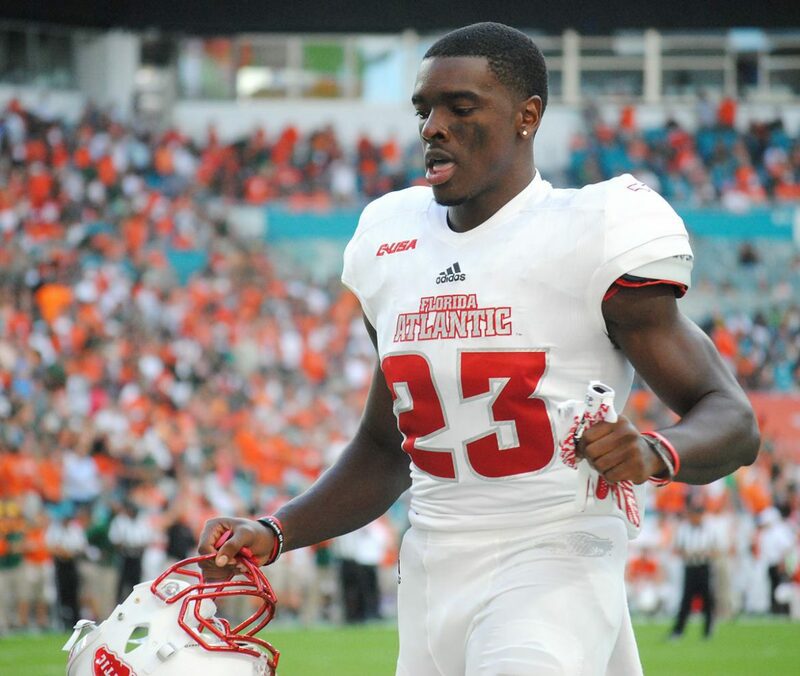 With a plethora of injuries at linebackers, walk-ons Hosea Barnwell and Jesse Howanitz worked their way onto the spring two-deep and will likely get a shot to show they deserve playing time in the fall, even with Azeez Al-Shaair, Khantrell Burden and newcomer Carson Lydon on the field. 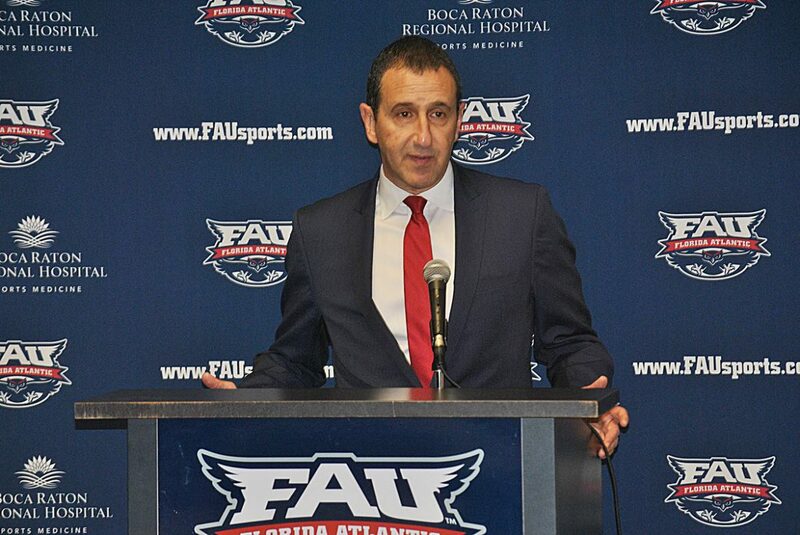 BOCA RATON – FAU athletic director Pat Chun invoked the name of another FAU coaching legend when he introduced Jim Jabir as the Owls’ new women’s basketball coach. “You’re probably the most accomplished head coach we’ve hired here since Howard Schnellenberger,” Chun told Jabir. That’s high praise considering that a few months back Chun hired former USC and Tennessee coach Lane Kiffin to coach the Owls’ football team and former NBA player and coach Michael Curry currently guides the men’s basketball team. 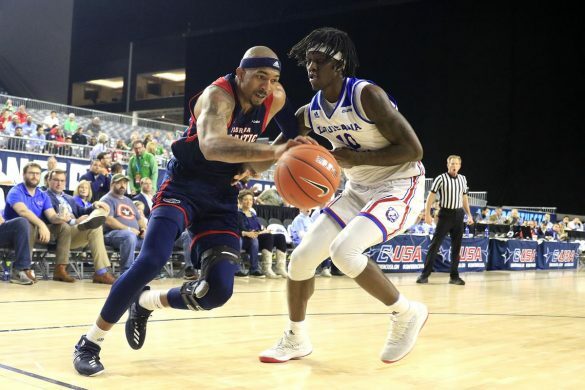 After coaching a team that went 3-25 in his first year at Dayton, Jabir took six Flyers’ teams to the NCAA tournament, reaching the Elite Eight in 2015. Jabir is the all-time wins leader at Dayton, posting a record of 238-140 in 13 seasons. Twice the Atlantic 10 named Jabir its Coach of the Year. Dayton completed the 2015 season ranked No. 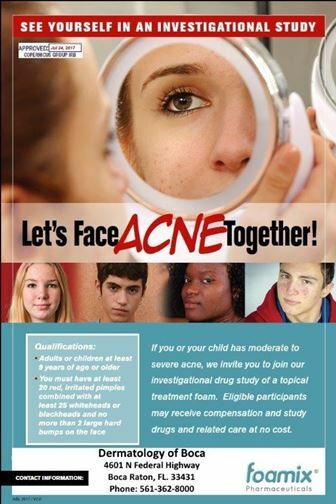 17 nationally. 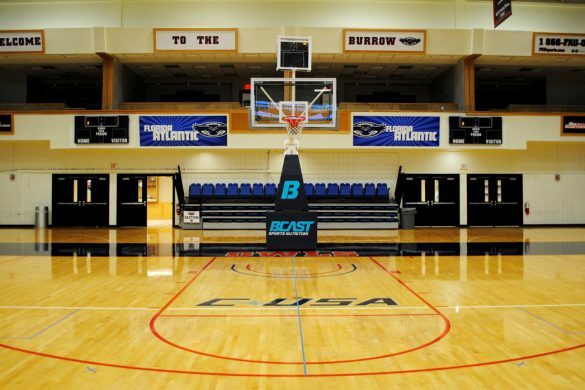 His also coached at Buffalo State, Siena, Marquette, and Providence. Jabir spent the past three months coaching in Denmark. “Coach Jabir brings an extraordinary track record of developing student-athletes at championship levels and will make an immediate and lasting impact on our student-athletes, basketball program, and university.” Chun said. Jabir considers himself a family-oriented man, meaning that character plays a huge part in his recruiting process. 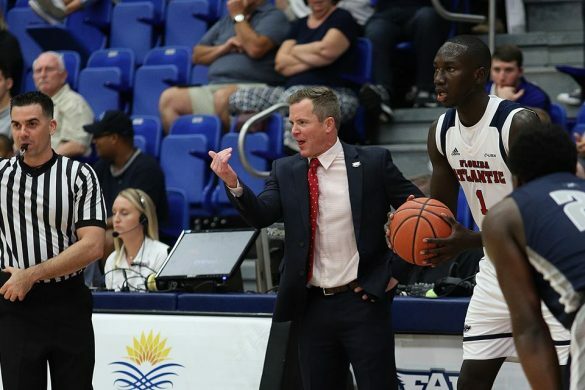 FAU has been without a head coach since firing Kellie Lewis-Jay following the completion of their 4-25 season that included a 19-game losing streak to end the season. FAU didn’t win a game in Conference USA. 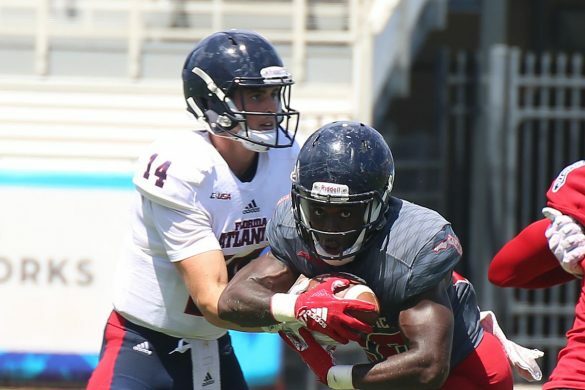 Despite seemingly constant turnover on the offensive side the of the ball, FAU wide receiver Kamrin Solomon’s focus to get his hands on the ball hasn’t changed. “Every day learning the offense gets easier and easier.” says Solomon. 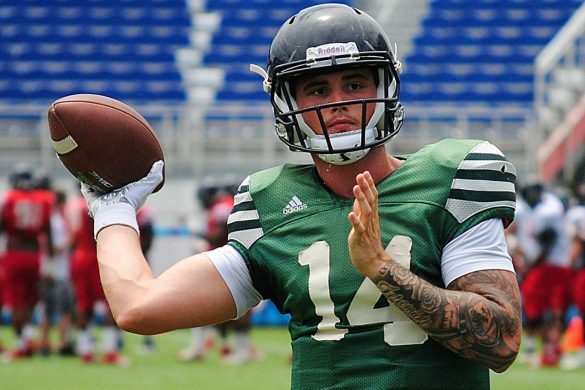 The Owls have employed three different offensive coordinators and stand to begin the season with their third different quarterback over a three-year span. Solomon argues that there’s more freedom in the offense, it gives players a chance to think for themselves and position themselves where they need to be. Solomon nearly made the play of the year for the Owls last season when he caught Jason Driskel’s Hail Mary pass in the end zone as time expired against the Charlotte 49ers, but it was reviewed and ruled out of bounds. 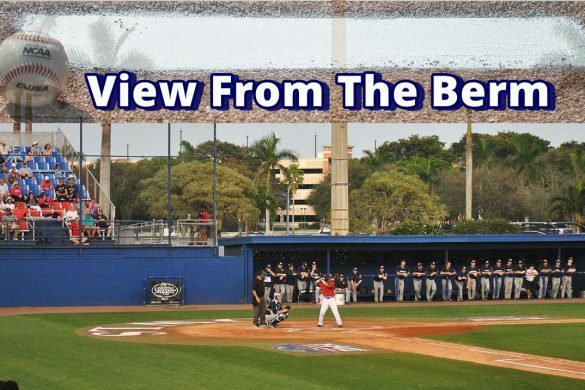 That near catch proved symbolic of FAU’s frustrations over the past three seasons. 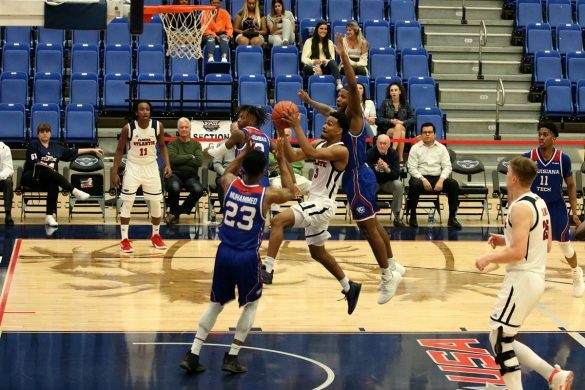 More often than not victory was within reach but all too often the Owls let wins slip away, leading to three consecutive 3-9 records and the firing of coach Charlie Partridge. As a true freshman, Solomon spent most of his time on special teams. The 22 catches he made as a sophomore in 2015 included a 94-yard touchdown, and he appeared primed for a breakout in 2016. Instead he regressed, catching only 12 passes for 69 yards. He did not find the end zone. Solomon says he thrives off of new opportunities and, after spending part of last season in Partridge’s doghouse, he welcomes the clean slate that comes with the new coaching staff. “If I want it, I’m gonna go get it.” says Solomon. Solomon’s athleticism caught the attention of first-year coach Lane Kiffin early on. It took all of three practices for Kiffin to single out Solomon as the offensive MVP of that day. At 6-foot-2, 205 pounds Solomon has enough speed to line up wide, but his overall athleticism leads Kiffin to believe he’ll likely line up primarily in the slot this season. He’ll also continue to contribute on special teams, though not necessarily as a returner. 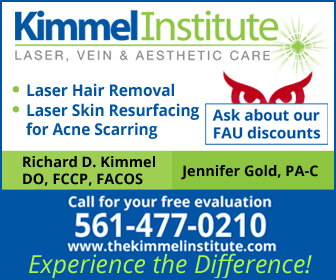 BOCA RATON – FAU invited high school coaches from Palm Beach, Broward and Miami-Dade counties to Boca Raton on Tuesday for the press conference introducing new Owls’ coach Lane Kiffin. 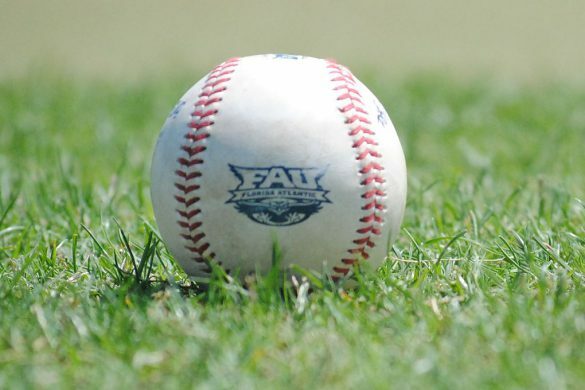 The handful that accepted FAU’s invite gained a sneak peak at what their neighborhood college football program has in store for the coming years and also extended a hand for recruiting purposes. 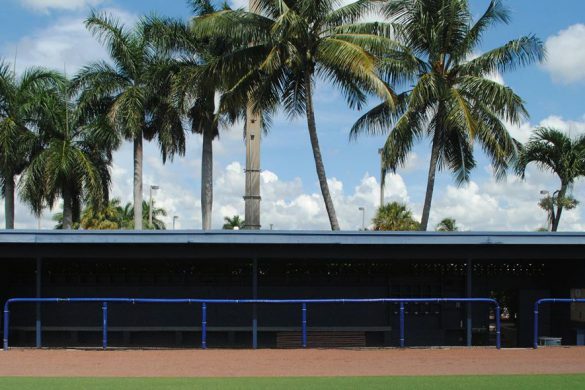 It is no secret that South Florida is one of the most fertile recruiting grounds in the nation, and FAU wanted to maintain the relationships within Palm Beach, FAU’s home county, and near-by county relationships that former coach Charlie Partridge worked so hard to build. The coaches in attendance were impressed by the hire. “They needed a splash name and they got him.” Loxahatchee-Seminole Ridge coach James Parson said. 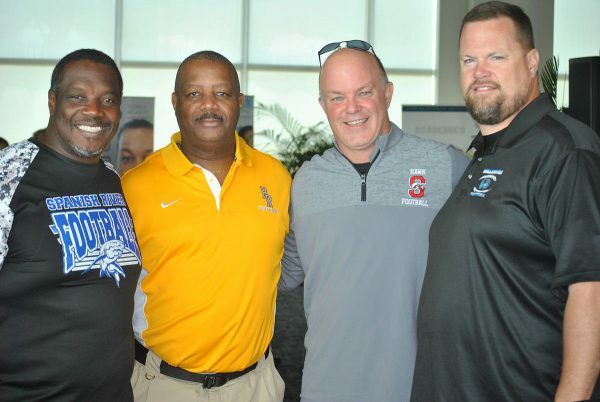 Among the high school coaches attending Lane Kiffin’s introduction were (L to R) Spanish River’s Bill Ceasar, Boca Raton’ eric Davis, Seminole Ridge’s Jason Parson and Wellington’s Wade Williams. Parson hopes that a big-name coach like Kiffin will keep the local talent here. 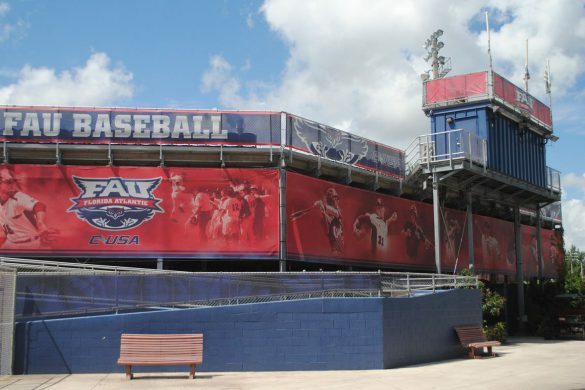 More than most, Parson understands the importance of a strong relationship with FAU. Current Owls Antonyo Woods, Roman Fernandez, Jalen Young, Kerrith Whyte and Jake Jones all played for Seminole Ridge before heading a few miles south to FAU. Woods, Fernandez and Young regularly started for the Owls. Whyte earned Conference USA All-Freshman honors as a kick returner. Parson is looking for Kiffin to not only lead his former players to success on the field, he wants to see them emerge from FAU as responsible young men. Spanish River coach Bill Ceasar doesn’t have a player on FAU’s, a situation he’s eager to change. 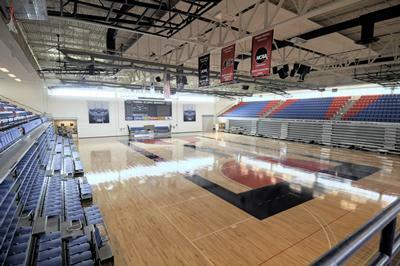 “We’ve had several kids over the years who had the talent, the skills, the grades, and everything, that should’ve played here, but never got the opportunity,” Ceasar said. Ceasar says the Sharks currently have a few players with the right mix of academics and talent who are getting recognized by other schools, but have received no offers from Florida Atlantic. They would be interested to play for FAU, but it is a matter of getting the opportunity. 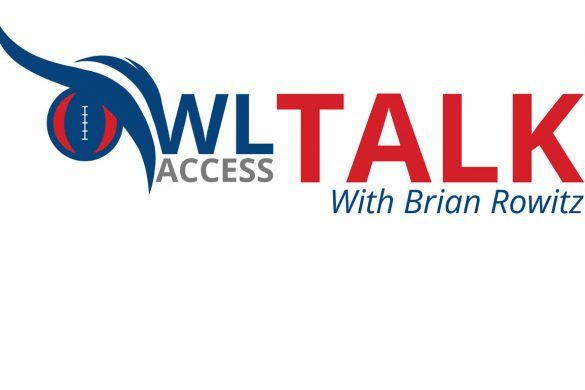 Under Kiffin, Ceasar figures, FAU could become even more of a destination school. “They’re right here, in our backyard, so just take advantage of it.” Ceasar said. BOCA RATON – To defensive back Raekwon Williams, success isn’t measured by interceptions – though he wouldn’t mind seeing one come his way. Now in his third season as an Owl, his first as FAU’s primary cover cornerback, Williams has yet to pull down his first collegiate pick. “I’m gonna do my job and when it comes, it comes.” said Williams, a junior. Williams started his collegiate career out strong by playing every game as a freshman, recording 26 tackles and two pass defenses. He didn’t see much action last year because of an injury, but this year Williams has taken over the role played by Cre’von LeBlanc, D’Joun Smith and Keith Reaser in previous years. Even without an interception, Williams is doing other things to help the Owls win. He’s tied for second in Conference USA with six pass break-ups, one behind Old Dominion’s Justice Davila. His 18 tackles are the fifth most among the Owls. As a unit, Williams believes the defense is coming together. “Let’s be consistent, let’s make the plays that come our way.” Williams said. As one of the elder statesmen on the defensive side of the ball, Williams words, along with his actions, carry increased weight. “He’s a baller and he’s filling the leadership role very well.” defensive end Hendrickson said. 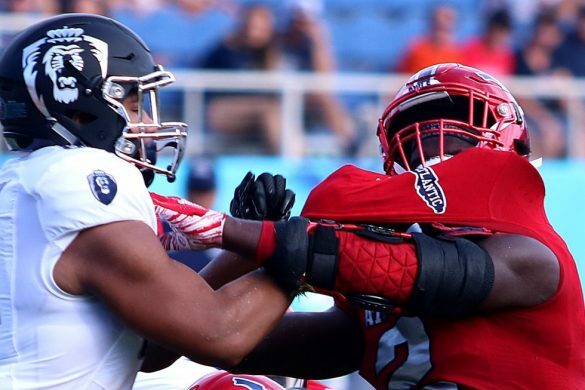 BOCA RATON – Faced with mounting defeats, FAU’s defensive players say that focusing on the past won’t help them improve as much as staying on top of their current mission. It’s important for players to simultaneously keep a short memory, while also trying to remember what went well. For linebacker Azeez Al-Shaair, that means forgetting past mistakes and building on what he’s doing well from game to game and even from practice to practice. “Whether it’s a win or a loss, you have to move on regardless.” Al-Shaair says. 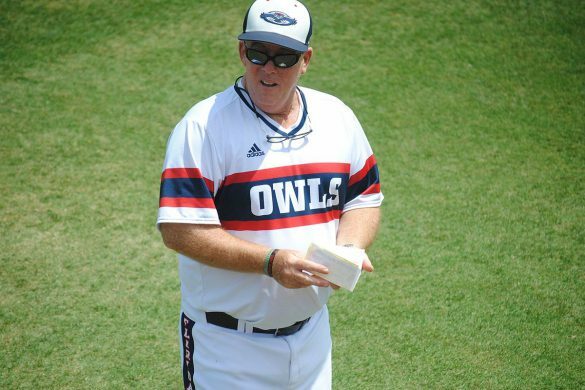 The Owls have plenty they’d like to forget from the way they’ve opened the season. 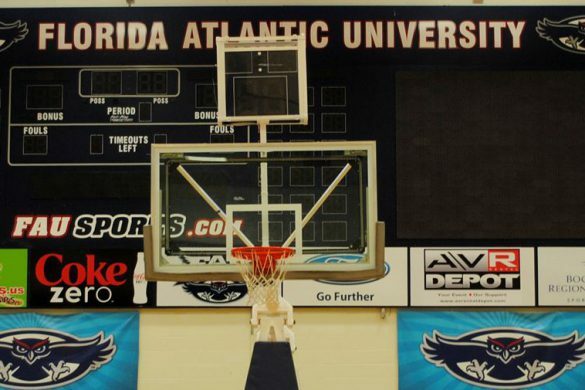 Opponents are averaging 40.5 points per game, which ranks FAU No. 119 nationally out of 128 FBS teams. 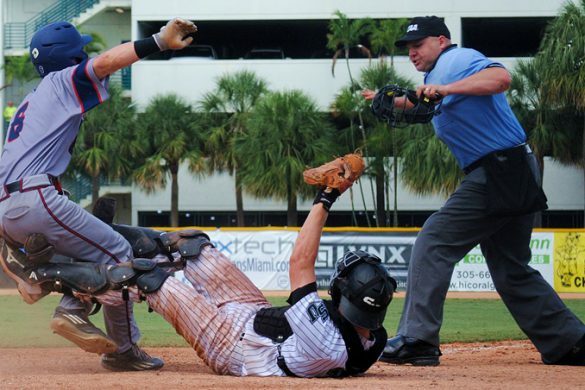 FAU has surrendered at least 30 points in all four games thus far. 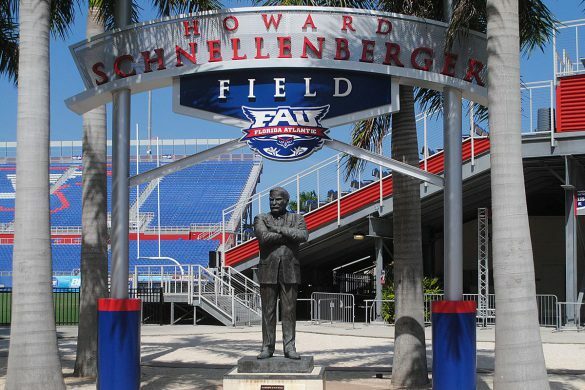 FAU suffered through many of the same problems last season – poor tackling, being out of position, improper angles of pursuit – but did manage to correct many of those issues at least temporarily, with a 31-17 victory over FIU at Howard Schnellenberger Field. 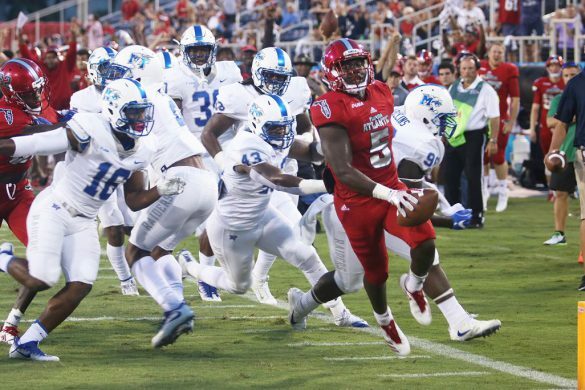 The Owls will be afforded that opportunity again on Saturday when they travel to Miami to face an 0-4 Panthers team that is only averaging 13.5 points per game – dead last at the FBS level.